Posted in: Radio Control. Tagged: Halifax RC Park, Miscellaneous, Racing, RC. 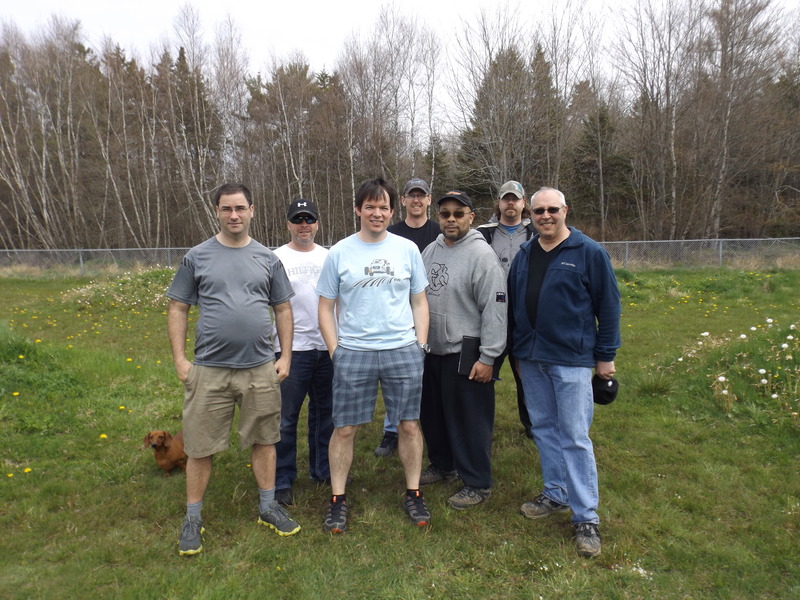 Halifax RC Park Committee members left to right, Charlie Deveaux, Todd Connolly, Rhodri Armour, Steve Taylor, Adrian Parsons, Greg Gibson, Pierre Plante. Missing: Kelby Ernest, Donnie Hall, Doug Davis and Clint Griffin. Dexter the dog stopped by to christen the ground. The Halifax RC Park website is now live on the internet. On the new site, you can find out about the committee, learn how you can help, get directions and once everything has been finalized with the city you can follow along with the progress of the RC Park.